The HumanScale M2 Monitor Arm is the best you will find, and we guarantee that you won’t be disappointed. Get this if you want to put your monitor on the #1 stand on the market. For many years, CRT monitors were used in offices. Today, many companies have standardized flat panel monitors in their offices because of their slim design, light weight, and better technology. They emit less radiation than a CRT monitor and can be adjusted to the appropriate viewing position with the help of an adjustable monitor arm. Monitor Arms are one of the most convenient tools for your office. 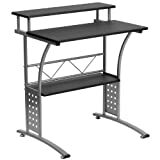 To know how to buy a monitor stand that’s right for your office, you need to first take note of your desk space. When you opt for a monitor arm, you automatically free your desk space and make it more accessible to you. You can opt for monitor arms that look durable, attractive and offer ergonomic benefits. The arms can be adjusted to a more comfortable position and if it needs readjustment later, the arm can simply be moved to make the adjustment. In fact, monitor arms offer you the ability to adjust your LCD screen for sitting and standing positions. The whole purpose of this convenience is to free more desk space and make the monitor more mobile for the user. One other important feature is that positioning a monitor at a comfortable level may reduce stress or shoulder and neck pain. Typically, it is best to have a monitor positioned 18 inches to 24 inches away from you. This allows you to put the monitor in a comfortable viewing position and gives you the best view of the screen. You can avoid straining both your eyes and your neck if you choose the appropriate monitor stand for your needs. Of all the different types of monitor arms, the Humanscale M2 Extended Monitor Arm is the best. It is also referred to as the versatile monitor arm and is highly recommended if you want to get one for your office. 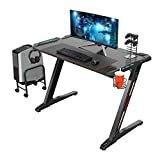 ‘And remember, if you need any advice or want to browse at which computer desk is the best, check out our gaming computer desk guide here. Humanscale’s M2 Extended Monitor Arm provides both vertical and horizontal adjustability. This feature negates the need for further height adjustment controls. Its range of depth adjustment is around 25.4 inches and the range of finger-tip height adjustment is 12 inches. The M2 monitor arm can be configured for a number of monitor applications. Customized configuration can also be created to suit your specific your requirements. The M2 is ideal for both personal desks and desks that are used by more than one person. When a new user is at the desk, he or she can easily change the position of the monitor to the height and distance suitable to him or her. When the computer is not in use, the monitor can be pushed away just as easily to create extra space on the work surface. M2 monitor arm is incredibly easy to use and can accommodate monitors that weigh up to 20 lbs. For additional viewing adjustability, M2 offers 60º range of vertical and lateral monitor tilt. It also offers multiple mounting options and can be used with all VESA-compliant monitors. These Monitor arms are especially advantageous when trying to make room or save space on a desk. Most stands provided by manufacturers consume a lot of space on a desk but an ergonomically designed monitor arm is dynamic and typically clamp to the back of a desk. An office space or work place will look much less cluttered, more stylish, and more organized with this new addition. Some even come in stylish designer colors, such as white and silver, to further enhance the modern design. A typical Humanscale monitor arm consists of up to three joints, each one boasting full 360-degrees of rotation. The arm can be adjusted up and down, left and right, and front and back, with additional articulation and rotation available at the joint between monitor and arm. Most monitor arms use numerous clamps, bolts and knobs for adjustment, leaving the user in constant danger of monitor drooping; a condition caused by chronically loose joints. Humanscale monitor arms, however, employ an elegantly simple system powered by a pressurized spring that floats the monitor above the desktop. Repositioning is literally as simple as the touch of a single finger, no tighten or training needed. Healthcare professionals and companies or offices love Humanscale monitor arms because of the maximum flexibility, dynamism, intuitive use, and durability. It’s incredibly handy for a dentist to be able to simply pull a monitor from the wall or desk to the chair to show patients their x-rays and effective use of space is crucial in hospital or office environments. With the use a monitor arm, your monitor floats above your work surface. This, in turn, will allow for easy depth adjustment and will enable you to keep all your other work items (such as documents, phone, etc.) directly in front of you and in line with your screen. 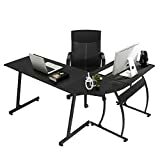 This will not only maximize your work space, but, with the help of a document holder will also help to prevent neck, shoulder and upper back strain caused by unnecessary twisting from side to side. You can work faster and more effectively without experiencing discomfort or strain. Get a Humanscale monitor arm today and enjoy your office experience forever. If you really want to go big, check out the Humanscale M8 Monitor Arm, which is even better than the M2, but the cost increase is quite a bit. ‘If money wasn’t a consideration, this would be our pick. Because we love Humanscale’s design so much, we think the best dual monitor arm comes from them as well. ‘For basically all the same reasons, but 2 instead of 1. 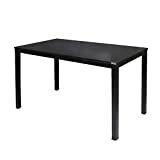 Looking for a budget friendly monitor stand? Below are the best ones we’ve picked while keeping more money in your account. ‘We’ve tested the cheapest options ($40 versions) and they aren’t worth the cash in our opinion. ‘They are unstable, wobbly and have a cheap clamp that doesn’t hold up enough, so we opt for the surprisingly well built AmazonBasics Monitor Arms.